Ryerson Futures is a university seed-stage venture capital fund and technology accelerator that invested in Flipd early on. When Apple’s head of software engineering announced a new slate of controls to curb smartphone addiction at its developers conference earlier this month, one Toronto startup was paying close attention. That’s because Flipd Inc. has been offering an app to help deal with the same problem for the last three years. But its founders aren’t worried about the new competition. They’ve been carving out a niche in a market full of young people who can’t put down their phones. A generation that came of age with smartphones in hand is now flooding the halls of colleges and universities. 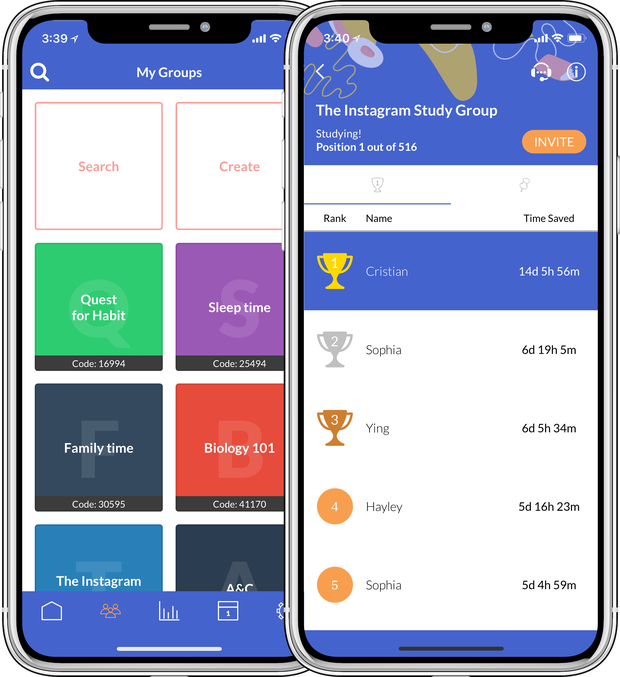 Half of Flipd’s 350,000 users are students, paying $4 a semester for the ability to block all but the most basic functions from their Apple- and Android-powered phones. The app’s users have spent about a billion cumulative minutes “Flipd off” since its inception, say the founders -- and Flipd’s management believes tech giants and their investors’ current focus on smartphone addiction will draw even more attention to them. The app first launched in 2015, after co-founder Cristian Villamarin gave his teenage younger brother his first smartphone and noticed some unsettling changes. “He was totally freaked out by how much his [brother’s] behaviour changed in such a short amount of time, from being a kid who was outgoing ... to someone who needed his phone all of the time,” Ms. Harvey says. Born from this frustration, the original beta version of Flipd was an Android-exclusive parental-control app. It didn’t get much traction in the parent market -- but the co-founders noticed they were getting uptake from students who used it to self-regulate their smartphone use. A year later, the co-founders re-launched Flipd on both Google Android and Apple iOS. They began marketing to educators to get the tool into more classrooms, attracting professors from more than 100 schools, including Pennsylvania State University’s Alicia Drais-Parrillo. In a society where everyone’s carrying smartphones, people are conditioned to immediately respond to their pings with an “almost Pavlovian response,” Ms. Drais-Parrillo, a psychology professor, says : “’Oooh, there’s a message.” She began using Flipd to offer bonus points to students who stay off their phones for whole lectures; educators can use the app to monitor students’ participation through centralized dashboards to determine if they’ve been distracted. Flipd faces steep competition in the productivity-app marketplace. Among others, there’s Moment, which lets users track and set daily limits on phone usage; Forest encourages users to let a digital “tree” grow on their phone as they avoid using it, which the company tries to match with real reforestation efforts; and Arianna Huffington’s Thrive Global, whose Samsung-phone app blocks most distracting apps, raised US$30-million last year for a valuation of US$120-million. Ms. Harvey says the app could be used to give educational institutions further insight into the structure and effectiveness of traditional lectures. For example, teachers could plan breaks for points in time where students’ attention is likely to wander. Mr. Wise is also a partner at Ryerson Futures, a university seed-stage venture capital fund and technology accelerator that invested in Flipd early on. “They’re solving a big problem, and the way they distribute Flipd through schools and professors is great,” says Matt Saunders, president of Ryerson Futures. The company, which has six employees, has also raised money through TechStars, and its early angel investors include Toronto entrepreneur Candice Faktor and the founders of the medical-knowledge-sharing platform Figure 1 Inc. 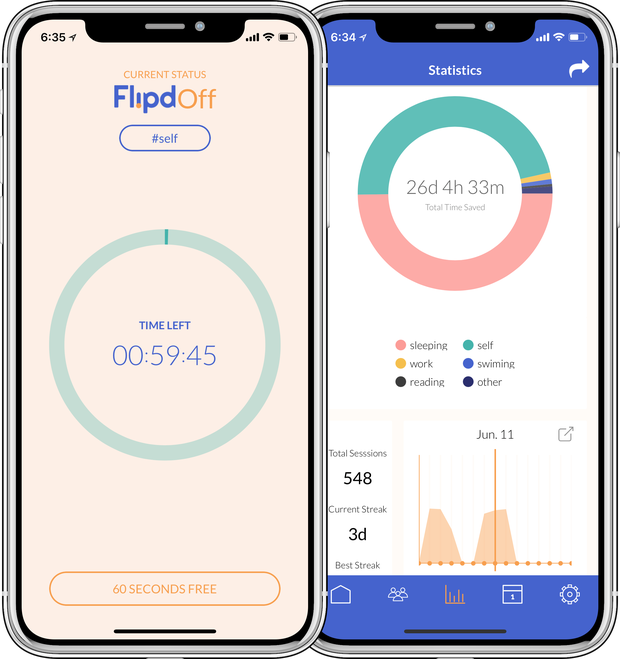 In addition to new features announced by Apple and Google that allow users to monitor and limit the amount of time they spend on their phones and tablets, Flipd faces steep competition in the productivity-app marketplace. Among others, there’s Moment, which lets users track and set daily limits on phone usage; Forest encourages users to let a digital “tree” grow on their phone as they avoid using it, which the company tries to match with real reforestation efforts; and Arianna Huffington’s Thrive Global, whose Samsung-phone app blocks most distracting apps, raised US$30-million last year for a valuation of US$120-million. Smartphone addiction and its effects on mental health, particularly among children and teens, came under scrutiny earlier this year. Investment firm Jana Partners and the California State Teachers’ Retirement System, which collectively control roughly US$2-billion of Apple’s shares, published a letter urging the smartphone giant to create new tools to protect children from the harmful effects of digital technology. But despite this growing competition, Ms. Harvey says Flipd’s distinct classroom focus should give it an edge. The company is exploring a number of private school pilots and department-wide launches at colleges, and recently launched a version called Flipd for Work after receiving interest from companies looking to help employees disconnect. “One of the distinctions of Flipd is that we’ve been going after markets that influence people to change their behaviour,” Ms. Harvey says.